When looking at the FEGLI, there are 3 main factors in evaluating whether or not it is still the best option for coverage at this point in your life/career. The Federal Employee Group Life Insurance is one of the biggest group term policies on the planet. The perks of such a large plan are that there is no medical underwriting requirement to qualify and that the cost of the death benefit starts off very competitively priced (early in one’s career). The drawback is that the FEGLI premiums eventually increase across the board for all participants and the policy designs have seen about as much innovation as the Q-tip industry in recent decades. 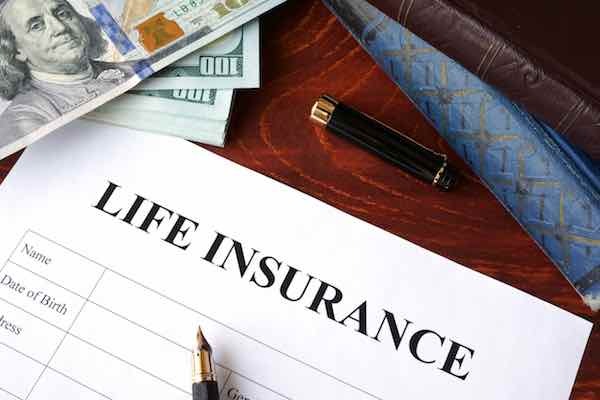 Private life insurance has evolved powerful new features, called Accelerated Living Benefit Riders, to protect the policy owner during their lifetime now as well. Life insurance is no longer just for our loved ones after we pass. What if you had a stroke, a heart attack, or cancer… and lived? Expenses would go up and income would go down during recovery, so how would you pay the bills? With living benefits, this scenario would qualify you for an accelerated payment of a tax-free portion of your death benefit for you to apply in your budget however you see fit! With the optional FEGLI, you get nothing (because you still have a pulse) so if you don’t have a sufficient emergency fund, or enough sick leave, then most feds would need a hardship withdrawal from the TSP – potentially obliterating your carefully outlined retirement plan. Especially when considering that in addition to the money you need in your pocket, your nest egg will also lose a considerable chunk to taxes and quite possibly the 10% early distribution penalty. With the exponential pace of medical innovation only being outpaced by the cost of receiving medical care, “What if I live?” is the question that is now leading many to re-evaluating what they look for in a life insurance policy. Every type of insurance – health, homeowners, car, cancer, life, travel insurances etc – are all designed to protect/preserve some specific aspect of our family’s lifestyle. Every family decides individually which concerns they can afford to protect themselves from in how they prioritize insurances in their budget. If all insurances were free to everyone, then we would protect our family in every conceivable way, from plagues to asteroids, we would opt in to covering it all. If we could see the future, we would cherry pick only those coverages that we would need most (and invest our savings of course). But in reality, we can’t afford them all and we don’t know what types of coverage we will actually need most, so the equation for best protecting one’s lifestyle boils down to finding the most inclusive/flexible coverage at the lowest total cost. That is an expensive and risky proposition when looking to create holistic coverage with separate policies that each only have one single trigger. Just ask a federal retiree with the FEHB, the FEGLI, and the FLTCIP how much money they have left over in their fixed income for a cancer policy. And if they forced that cancer policy into their retirement budget but died of a heart attack then the cancer and the LTC insurances were total wastes! A single policy with multiple benefit triggers is like a Swiss Army Knife, allowing one premium payment to do double, triple, or even quadruple duty without the added cost, risk, or hassle of buying multiple “use it or lose it” policies. So who is the FEGLI still ideal for? First, it will generally be the cheapest option (for Death Only insurance) for many Feds while they are under 45 years old. It is after that age that the Basic Extra Benefit goes away and the 5 year cost increases start to take off – meaning alternatives can be comparably priced while potentially adding the powerful flexibility of Living Benefits. Second, the FEGLI is still best for those who have preexisting health conditions or lifestyles that would not be conducive to affordable individual coverage (tobacco users, amateur deep sea divers etc). Imagine if you paid Verizon very little today for your phone service because in this unique plan Verizon will charge you 200 times more for that same exact service when you retire… you would probably make like the “Can you hear me now?” guy from the Sprint commercials and start shopping your options, wouldn’t you?! What do I want my life insurance to protect – my family’s lifestyle after I pass or my family’s lifestyle both during & after our time together? Will I be able to get through underwriting to be eligible for personalized coverage? Will I be more likely to pass underwriting later in life if I choose to wait? How much longer will I want/need to carry protection in order to be confident in the preservation of my family’s lifestyle? Do I have enough emergency funds set aside to offset the need for Living Benefits? Do not to wait until the FEGLI is too expensive to compare your insurance options and gather the information that will empower you to make an informed decision about what is best for you and your family. Regardless of whether staying, leaving, or dropping coverage altogether is best for you – be proactive in exploring your options with a federally focused financial services professional today so that you can make a well informed decision before your situation dictates that decision for you. What Happens to My Benefits If I Leave Federal Service and Then Return in the Future?